The Honda Smart Home is a showcase house in Davis, California demonstrating Honda’s vision of zero-carbon living. Constructed to be enviromentally sustainable, the Honda Smart Home utilizes advanced technologies in lighting, heating and cooling, energy management, as well as transportation. Since the California Lighting Technology Center at UC Davis (CLTC) focuses on sustainable and circadian senstive lighting technologies, Honda partnered with the CLTC to create an adaptive and efficient lighting system for the project. I had the priveledge of working as a lighting designer for the Honda Smart Home on behalf of the CLTC, collaborating with engineers, interior designers, and architectural teams. The Honda Smart Home not only uses extremely energy-efficient lighting, but also incorporates a lighting system that considers the circadian sleeping rythms of the human body. In order to create a zero-carbon system in the Honda Smart Home, the lighting design focused on using LED technology. 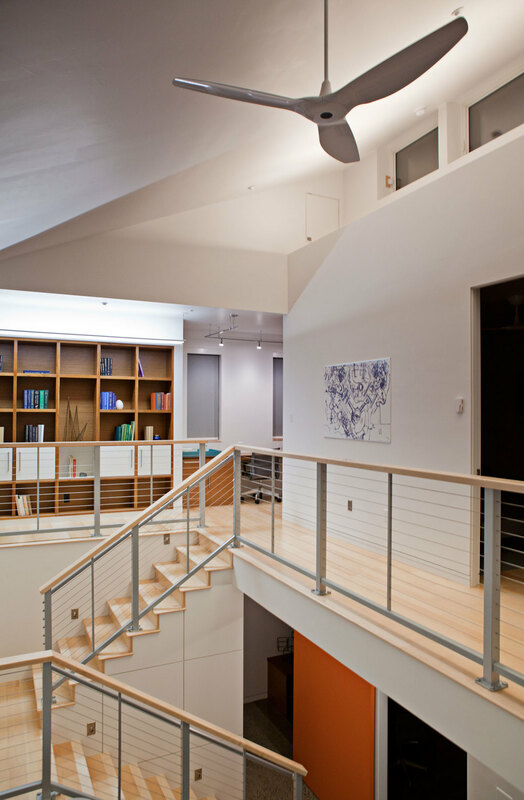 With the knowledge I had gained from my experience at the CLTC, the LED fixtures I specified for the house not only had to be energy-efficient, but were also required to render color well, and have an appropriate color temperature for the designated space in the home. By involving the affiliate partnerships of the CTLC, I was able to acquire lighting technologies not yet released on the market. These included fixtures that were not only dimmable, but also adjusted color temperature depending on the occupant’s preference or the time of day. The process of creating circadian sensitive lighting fixtures involved research into the biological science of circadian patterns, making various prototypes with amber LED strips and dimmers, as well as working alongside engineers to design custom parts. This adaptive circadian lighting system is now considered one of the most unique and advanced technological systems of the Honda Smart Home. As an undergraduate student, I had designed a circadian sensitive trim that won 1st prize in the Annual LED Luminaire Design Competition–a component of a senior design course taught by the director of the CLTC, Michael Siminovitch. I took my same concept, using amber LEDs placed in the lower half of the eyesight’s hemisphere, and adapted it to the design of the Honda Smart Home in order to create a circadian-friendly lighting system. As a lighting designer, I was responsible for researching available technologies and products, contacting luminaire companies for custom orders, and creating fixture schedules for architects. Creating a custom lighting system for the Honda Smart Home was a team effort. Partnering with other designers, engineers and architects, I learned to communicate ideas, seek out common goals, and challenge technology in order to actualize the vision of Honda for sustainable and healthy living.